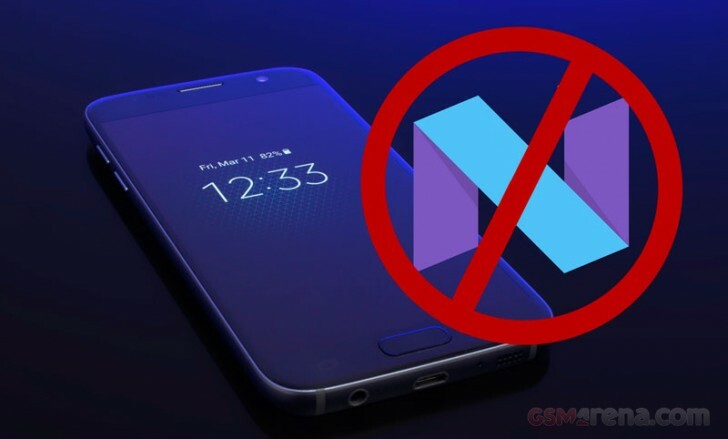 Informed Samsung Galaxy S7 owners have been thrilled about being able to try Nougat on the flagship phone since the program launched just under a month ago. It first launched in the South Korea, then UK, and US carrier versions received the same Beta just several days later. If you were able to successfully register and download the Beta software for a Verizon-branded Galaxy S7 or Galaxy S7 edge, consider yourself lucky. Verizon, the largest carrier in the US, has put its foot in the door, yet again, by pulling the plug on the Beta program for its own subscribers. This would not be the first time Verizon interferes with the Samsung experience. In the past, Verizon has disabled certain features from Samsung’s firmware, not to mention it heavily modified the Settings app appearance and totally hid the Note7’s 15GB of cloud storage from Samsung in the settings in order to promote its own cloud storage option. The message mentioned that Verizon would “stay on original software for the remainder of this trial. Perhaps Verizon didn’t like something about the overall delivery of the Beta software and asked Samsung to halt it. The wording of the message suggests that Verizon would be on board for a future Beta test, but on its own terms.